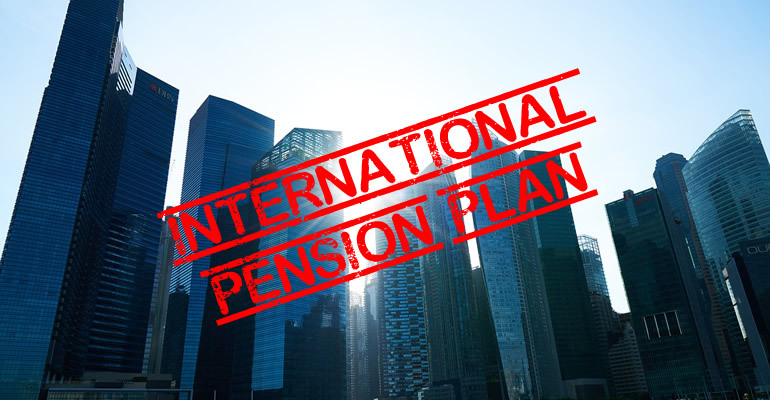 There is a growing demand to set up international pension plans (IPPs) and international savings plans (ISPs) for global companies with internationally mobile employees and local employees that require pension provision where local arrangements are inadequate or absent. Companies undertaking specialist activities or operating from regions such as Asia, invariably recruit a high proportion of their workforce from overseas. The relocation, orientation and training of expatriate employees require considerable investment from the employer, making staff retention all the more important. Employee benefit packages are an essential feature for employers to attract and retain the best talent, as well as to maintain a loyal and committed workforce. One of the main components of any employee benefit package is corporate pensions or savings provision. Most employees now regard this as a key part of their remuneration. In Singapore alone, 110 IPPs have been set up in the last three years, according to the 2018 International Pension Plan Survey by consultants Towers Watson. These were predominantly for expatriates who are excluded from the local Singapore Central Provident Fund (CPF), a scheme offered to local employees for saving and retirement. IPPs were also set up for employees based in the wider ASEAN region in countries like Thailand and Indonesia. A particular attraction for many foreign multinational firms operating in Singapore is that offering an IPP/ISP to foreign workers allows the sponsoring employer to claim tax relief in respect of the company contributions. These plans are not limited to Singapore and some are being established as limited multi-country structures. For the majority of IPPs/ISPs, the strategic intent is the provision of savings or retirement benefits for expatriates who are either not covered by any home country plans, the local host country retirement scheme is deemed inadequate or they are not participating in a local host country plan at all. IPPs/ISPs provide a valuable vehicle that can protect savings for local employees in countries suffering from economic or political turbulence. Trusts continue to be the most popular arrangement used to hold the contributions and assets of IPPs/ISPS. Any business must also be aware of local employment law wherever they have a presence and need to ensure that any employee benefit obligations are met. Sovereign has extensive experience in designing and operating corporate pension schemes. Our clients range from large international businesses to smaller firms just starting out. Sovereign will work with the sponsoring employer to design an employee benefit plan to meet that company’s specific requirements. An important aspect of any employee benefit plan is its constitution. Sovereign offers trust-based solutions in which the assets of the plan are held in trust for the beneficiaries (the employees). The advantage of this approach is the legal separation of the plan’s assets from those of the sponsoring employer. This provides an additional layer of comfort to employees and protects the plan from any party seeking to lay claim to the assets of the business. The trustee of the plan will be one of Sovereign’s fully licensed and regulated or registered professional trust companies in jurisdictions such as Gibraltar, Guernsey, the Isle of Man, Malta or Hong Kong. This ensures professional management of the pension scheme within a robust regulatory framework. Sovereign also offers individual portable pension arrangements for internationally mobile employees and senior staff.